Students will be prepared to code apps, games, and websites in middle school by following our standards-based programming curriculum in elementary school. Note: All students without coding experience should start with beginner concepts regardless of age. Older students will complete the work faster and need less practice with beginner concepts. 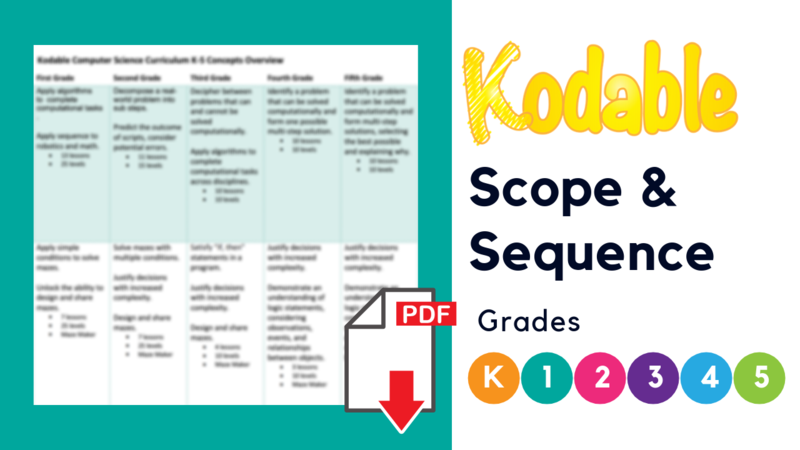 See our year one scope and sequence below for details. Lesson plans are designed for once a week instruction in 40-50 minute sessions. You can break up the direct instruction and group practice from the independent practice and assessment portions of each lesson plan. View lesson plans on your teacher dashboard.